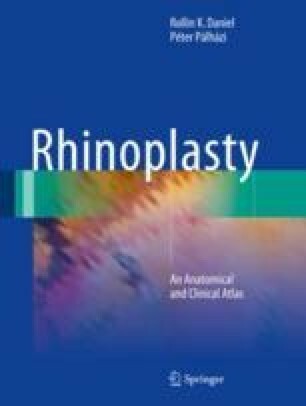 Why is the soft tissue envelope (STE) so important in the planning and execution of a rhinoplasty operation? Put simply, the nasal skin envelope covers the underlying osseocartilaginous structures, preventing the surgeon from seeing the true nasal deformity preoperatively and often limiting or compromising the postoperative result. Most surgeons consider skin redraping and remodeling to be the greatest uncertainty in the healing process. The essential purpose of this chapter is to teach the reader how to “see through” the skin and understand the underlying tip and dorsal anatomy.